IRLANDE – Spike Island – The Spike Island Archaeological Project team, led by UCC archaeologist, Dr Barra Ó Donnabháin, has identified up to 250 previously unmarked burial plots, all dating from Famine times, within a walled cemetery area on Spike Island in Cork Harbour. Records indicate that some 1,100 convicts died on the island during its 36 years as a prison. Further archaeological work will be needed to outline the full extent of the other burial sites where an estimated 900 or so convicts are buried. These areas are identified on historical maps, but today, the areas are overgrown and unprotected. Spike Island, Ireland’s Alcatraz at the mouth of the harbour, was originally built as a Napoleonic-era fortress. But following an upsurge in crime during the Great Famine (1845-1852), it was converted to a prison in 1847 as part of the British colonial government’s response to the rise in public disorder. In its early years, it was an important holding centre for convicts transported to Australia and Bermuda. Political prisoners such as the Young Irelander, John Mitchel (after whom the fort is now named) and Fenians were also incarcerated on Spike. Originally devised as a temporary solution, it went to operate as a prison for 36 years, holding up to 2,300 people at any one time in appalling, overcrowded conditions. CANADA - Swamp Point North - Kleanza Consulting Ltd. conducted an archaeological preliminary field reconnaissance ("PFR") of the Phase 1 development area for Highbank's proposed Swamp Point North aggregate quarry development. The purpose of the PFR was to identify if there was any areas of archaeological potential within the proposed Development Area ("DA") in respect to culturally modified trees ("CMT's"), sub-surface deposits, midden exposure, rock shelters, pictographs and petroglyphs. A flyover was first conducted to identify areas for the survey and access to the DA. It was determined that it was possible to access the site from the beach and old access/logging road that was expanded during the 2005-2006 seismic refraction survey, test pits and sonic drilling programs. ROYAUME UNI – Towcester - An excavation site in Towcester will open once again for the public to view its archeological work on Thursday. Visitors should access the site via Whitton’s Lane where they will be able to view the remains of a substantial building which may have been used to hold water. It is believed that it could have been used as a small reservoir for an industrial process. Any artefacts and other remains could cast light on its former use. Members of the public will also be able to view the pebbled surface of an uncovered Roman street which runs alongside the building towards Watling Street. ROYAUME UNI – Grovebury Farm - The remains of an ancient Roman vineyard have been discovered on a site being developed by a housebuilder in Leighton Buzzard. Archaeologists found the 2,000-year-old vineyard at the new Persimmon Homes site at Grovebury Farm, Grovebury Road. Archaeology and historic buildings consultant Duncan Hawkins, who led the investigations at the site, said the find was exciting because it ‘put another piece in the puzzle’ of the history of the area. He said: “Although vineyards were fairly common, this is a significant find for the Leighton Buzzard region as it enables us to keep on building a picture of how the landscape used to be; in effect another piece in the jigsaw. “We were unsure at first whether they were Roman or medieval remains, but because of the common practice of burials out in the fields we have been able to date it to the 2nd or 3rd Century.” Duncan added that because the process of archaeology is in itself destructive, the site would be photographed, recorded and a 3d model created to keep the history alive. 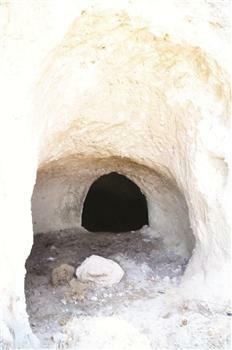 TURQUIE – Bodrum - Rock tombs dating back to 3,500 years ago have been uncovered in Bodrum’s Ortakent district, which form part of the necropolis area. The experts are still not sure if there was a settlement or not. The tombs are believed to belong to the early “Mycenaean Greece III A” era, which was a cultural period of Bronze Age Greece taking its name from the archaeological site of Mycenae in northeastern Argolis, in the Peloponnese of southern Greece. The tombs also revealed human and animal bones, bronze containers and many different kinds of pieces. The necropolis area has been taken under protection. The findings of the excavation may belong to the bronze age and also to the Akha Hellenistic era. 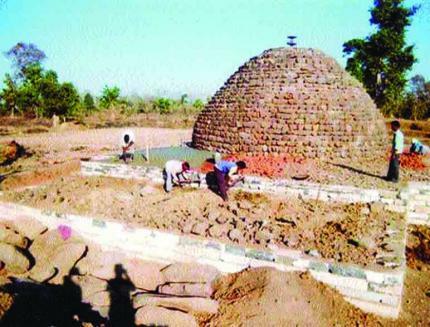 INDE – Sirpur - History, perhaps, has not witnessed a battle as bizarre as the ongoing tussle between an archaeologist and the Archaeological Survey of India (ASI) for possession of “nearly 4,000 antiquities” retrieved from the fifth century AD site at Sirpur in eastern Chhattisgarh district of Mahasamund. REUNION – Saint Denis - Une plaque de dalle daterait du XIXème siècle a été découverte dans la cour de l’ancienne prison Juliette Dodu à Saint-Denis. Elle donne des indications sur la condition des détenus. Le ministère de la Culture avait commandé un diagnostic archéologique du site de l’ancienne prison Juliette Dodu. C’est au cours de ces fouilles que les archéologues ont découvert une dalle de béton qui daterait du XIXème siècle et qui aurait fait partie de la première construction de la prison. Elle donne des indications sur le mode de vie des prisonniers et son évolution depuis près d’un siècle. Suite à cette découverte à caractère historique, d’autres fouilles seront effectuées sur le site. La prison doit être réhabiliter pour être revendu. En attendant, c’est un travail d’archivage qui attend les archéologues. La pièce découverte est intéressante du point de vue archéologique à La Réunion car elle révèle des éléments sur la structure des bâtiments de l’époque. Mexique – Palenque – Anomalies that correspond to a pair of 2 and 3 meter [6.56 and 9.84 feet] cavities detected by a georadar in the front part of the Temple of Inscriptions in Palenque, and the corroboration that the Pakal II crypt doesn’t rest over original rock, signal that this funerary chamber was not the starting point of this celebrated Mayan construction, as it’s discoverer (archaeologist Alberto Ruz Lhuillier) suggested. Such conjecture derives of the preliminary results obtained by the use of geophysical techniques that are noninvasive or destructive, that help support archeological work. This binational project has the collaboration of the National Institute of Anthropology and History (INAH), the National Council of Science and Technology and the National Center of National Investigation (CNRS) of France. Discovered more than 60 years ago by archaeologist Alberto Ruz Lhuillier, the crypt of K’inich Janaab Pakal doesn’t rest over mother rock or original, but maybe over a structure built with very big sandstones filled with rock fragments. In the Temple of Inscriptions they have alternated the use of the Georadar for Surface Penetration with the Electrical Resistance Tomography. The engineer Luis Angel Villa Alvarado, technician of the Geophysical Laboratory in INAH explained that the effects of the tomography are similar to those of an electrocardiogram of the human body. 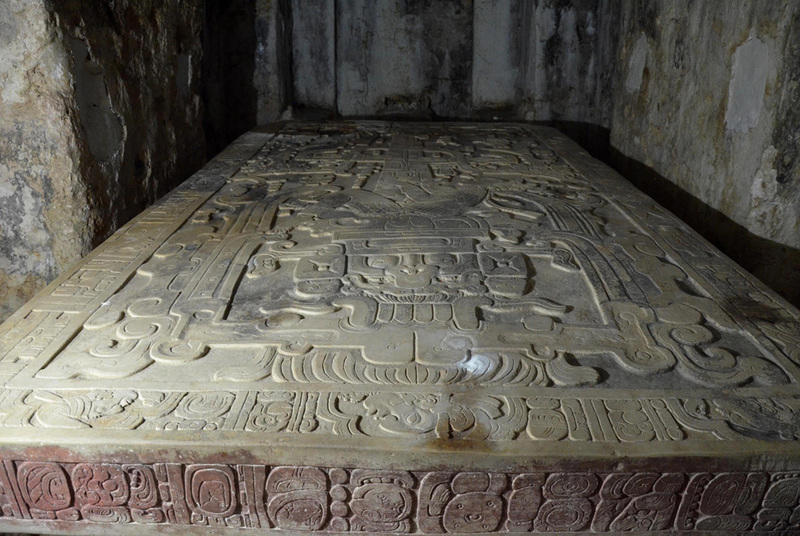 At the same time, Ph.D Maksim Bano, who has collaborated with archaeological projects in diverse parts of the world, said that their participation in one of the most important cities of Mayan culture is not limited to knowing the physical aspects of the subsoil of the Temple of Inscriptions, but also “the secrets that the funerary chamber could hold for such a character as Pakal”. The purpose, based on the information obtained by the georadar and the tomography of the electrical resistance, is to develop a project of exploration, expressed the archaeologist Arnoldo Gonzalez Cruz, responsible of the archaeological work in Palenque.